Great remodeled home located in prime location! Bright and open rooms with refinished hardwoods throughout. New kitchen featuring granite counters, stainless appliances and eat in bar area! New bathrooms, spacious beds! Garage and finished basement! Above Ground: 1,430 Sq. Ft.
Below Ground: 600 Sq. Ft.
53 Brandon Rd, Cranston, RI 02910 (MLS# 1120281) is a Single Family property that was sold at $215,000 on June 06, 2016. Want to learn more about 53 Brandon Rd? Do you have questions about finding other Single Family real estate for sale in Cranston? 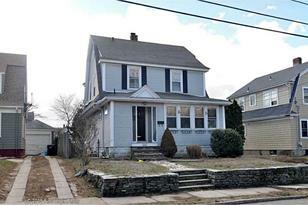 You can browse all Cranston real estate or contact a Coldwell Banker agent to request more information.